To analyse the peptide commonality among viral, bacterial, and protozoan pathogens, and the immunopathologic consequences in the human host. HPV16, HCMV, C. diphtheriae, B. pertussis, C. tetani, T. gondii, and T. cruzi were analysed for common amino acid sequences that are additionally shared with the human host. The pentapeptide, a minimal immune determinant in humoral and cellular immune recognition, was used as a measurement unit of the peptide similarity level. Molecular modeling was applied to compare the amino acid contexts containing common minimal determinants. Twenty-nine pentapeptides were found to occur, even hundreds of times, throughout the analyzed pathogen proteomes as well as in the human proteome. 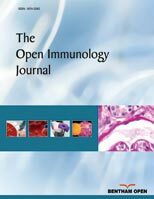 Such vast peptide commonalities together with molecular modeling data support the possibility that a pre-existing immune response to a first pathogen can be boosted by a successive exposure to a second different pathogen, i.e., the primary response to a pathogen can be transformed into a secondary response to a previously encountered different pathogen. Two possible consequences emerge. Firstly, no responses might be elicited against the pathogen lastly encountered either by infection or active immunization, but reactions could occur only with the early sensitizing pathogen, which is no more present in the organism. Secondly, the immune response boosted by the pathogen lastly encountered will find a way out by cross-reacting with human proteins. This study might explain the “original antigenic sin” phenomenon described seven decades ago [Francis T. Jr. Ann Intern Med 1953;39:203], thus providing explanations for vaccine failures and offering possible clues for designing successful vaccines. Keywords: Peptide commonality, Infectious pathogens, Crossreactivity, Primary immune response, Secondary immune response, Molecular modeling, Original antigenic sin, Vaccine failures, Autoimmunity. © 2018 Kanduc and Shoenfeld.